Richard Lawson is a partner in Manatt’s consumer protection practice, where he concentrates his practice on FTC and state attorney general investigations and litigation. Before joining Manatt, Richard served as the director of the Consumer Protection Division for the Florida Attorney General’s Office. Much of Richard’s work focuses on handling regulatory inquiries into deceptive marketing and unfair trade practices, with a particular focus on consumer protection laws in the digital sphere. Richard worked on many cases brought by the agency involving the interplay of the Restore Online Shoppers’ Confidence Act (ROSCA) and the Communications Decency Act. During his tenure, Richard played a key role in shaping and overseeing the agency’s agenda on privacy and data security. Richard also worked extensively on joint investigations with other state attorney general’s offices, on such matters as the mortgage crisis, consumer privacy and data-breach incidents. In addition, his collaboration with the FTC was recognized by the first-of-its-kind Federal Trade Commission Partner Award. Before joining the Attorney General’s Office, Richard spent the majority of his career in public service, starting with the State Attorney’s Office in Tampa, FL, where he served as the deputy chief of the Economic Crime Unit. From there he moved to New York and worked as a Bronx County assistant district attorney and then as a special assistant with the United States Attorney’s Office for the Southern District of New York. His public service experience includes over 300 nonjury trials and over 50 jury trials that involved organized fraud matters, insurance scams, identity theft and larceny offenses. Panelist, “Multistate Consumer Protection Enforcement by State Attorneys General: The Opioid Epidemic, A Case in Point,” ABA Consumer Protection Conference, February 5, 2019. Speaker, “Anatomy of a Complex Consumer Protection Case,” National Attorneys General Training and Research Institute, January 11, 2019. Speaker, Net Neutrality and Data Privacy Legislation – California and Beyond, Media Resource Law Center, December 2018. Speaker, “Enforcement, Not Rules. The New Digital Landscape for Net Neutrality,” Retail Law Conference, October 10, 2018. Panelist, “The Role of the State Attorney General,” American Constitution Society, May 18, 2018. Speaker, “Update on State Attorney General Enforcement on Pricing Laws,” Retail Litigation Center Member Meeting, May 8, 2018. Speaker, “Anatomy of a Complex Consumer Protection Case” National Attorneys General Training and Research Institute, April 27, 2018. Moderator, “No Harm, No Foul? Valuing Data Breaches,” 2018 ABA Antitrust Spring Meeting. Panelist, “Consumer Protection and Antitrust Issues in the World of IoT, Big Data and Artificial Intelligence,” Retail Industry Leaders Association Conference, October 11, 2017. Panelist, “Consumer Protection Bites: Fundamentals of Online Contracting and Auto-Renewal,” American Bar Association Panel, June 5, 2017. Moderator, “Fireside Chat: the Intersection of Consumer Protection and IoT,” Internet of Things World 2017, May 17, 2017. Moderator, “50 Billon Devices - A primer on Iot, AI, and the next phase of the digital revolution,” American Bar Association Panel, March 6, 2017. Moderator, “A New Privacy Framework: The FCC Broadband Consumer Privacy Order,” American Bar Association Panel, December 16, 2016. Moderator, “State A.G. Policy Enforcement Priorities in Consumer Protection—An inside and outside look,” ANA/BAA Marketing Law Conference, November 9, 2016. Panelist, “What’s Hot & What’s Not – Policy & Marketing Strategies for Digital Media,” Electronic Retailing Association’s Government Affairs Fly-In 2016, Washington, D.C., May 25, 2016. Panelist, “FTC Big Data Report – Summary and Considerations,” ABA teleconference, May 24, 2016. 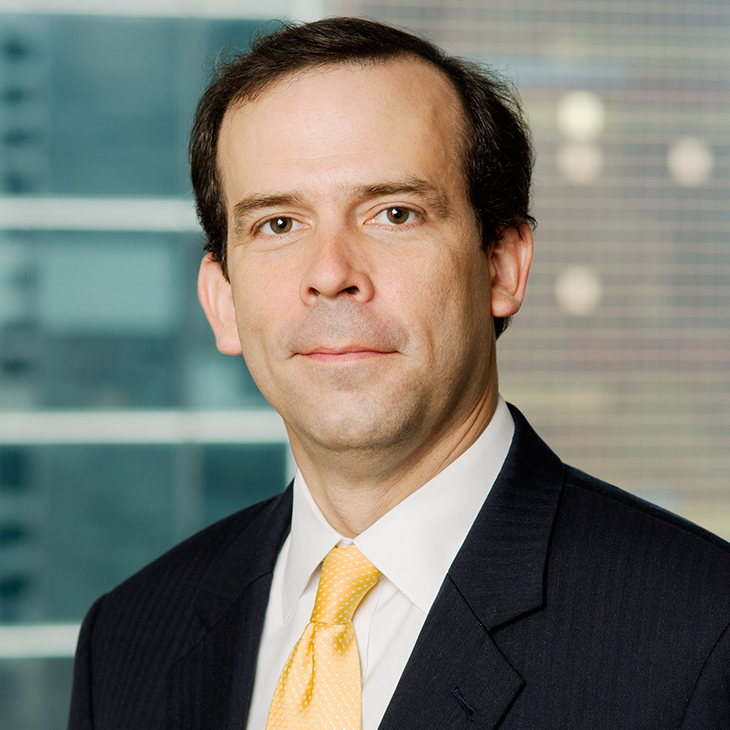 Session Chair, "In Retrospect—In-Depth Look at Key Consumer Protection Cases," ABA Section of Antitrust Law Spring Meeting, April 6, 2016. Speaker, "Consumer Protection Fundamentals," Louisiana State Bar Association: LSBA/LJC Summer School, June 2015. Panelist, "Around the Horn: Consumer Protection Year in Review," ABA Section of Antitrust Law Spring Meeting, April 16, 2015. Panelist, "State Enforcers Spotlight," ACI's 4th Advanced Forum on Resolving & Litigating Advertising Disputes, March 13, 2015. Panelist, "State and Federal Enforcer Update," BAA Annual Marketing Law Conference, November 5-9, 2014. Moderator, "Investigation and Defense of Data Breaches," National Association of Attorneys General Conference, May 2014. Panelist, "Regulatory Roundup," ABA Antitrust Section Annual Conference, March 2014. Panelist, "Multistate Consumer Investigations: State AG Perspectives and Priorities," ABA Antitrust Section Meeting, February 19, 2014. Moderator, "Data Breaches," National Association of Attorneys General Conference, November 2013. Panelist, "The Mysteries of Social Media: Are Advertisers Responsible for What Their Customers Say Online?" National Advertising Division ASRC Annual Conference, October 1-2, 2013. Moderator, "FTC .Com Disclosures," National Association of Attorneys General Conference, May 2013. Moderator, "Internet Advertising and Marketing," National Association of Attorneys General Consumer Protection Conference, November 2012. Speaker, "Update on Attorney General Consumer Protection Enforcement Efforts," National Advertising Division Fall 2012 Conference, October 2012. Speaker, "Update on Attorney General Consumer Protection Enforcement Efforts," ABA Consumer Protection Update, June 2011. Co-author, “Cloudy With A Chance Of Price Gouging,” Law360, August 29, 2018. Author, “Insights From State AG Coordinated Opioid Investigation,” Law360, June 18, 2018. Co-author, “Net Neutrality: From Rules to Enforcement,” Electronic Retailing Association, December 20, 2017. Author, “Q&A: D.C. Attorney General on Consumer Protection Efforts,” Corporate Counsel, June 28, 2017. Author, “AI, IoT and Consumer Privacy,” Retail Merchandiser, June 19, 2017. Author, “Q&A with Texas Attorney General on Consumer Protection Priorities,” Corporate Counsel, February 1, 2017. Author, “How Retailers Can Avoid Regulatory Scrutiny this Holiday Shopping Season,” Retail Merchandiser, November 17, 2016. Co-author, “A Tale of Two Statutes: ROSCA as Written, and ROSCA as Enforced,” Response Magazine, November 8, 2016. Contributor, “Five Minutes With: Richard Lawson on Avoiding Holiday Marketing Pitfalls,” Direct Marketing News, November 4, 2016. Author, “In Case of Negotiation Breakdown, Always Be Trial Ready,” Response Magazine, July 12, 2016. Did Uber Break the Law in Hacker Payoff?